Breakfast at Denim Co. Cafe at South Bank Parklands is a favourite pastime of mine after a Saturday morning run. 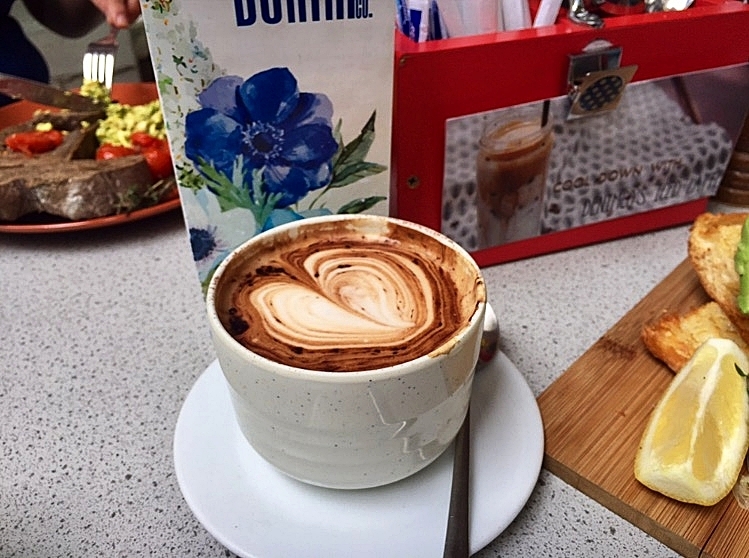 Situated on Little Stanley Street at South Bank Parklands, Denim Co. Cafe serve Lavazza coffee as well as delicious all day breakfasts and a selection of irresistible sweet treats. My breakfast choice is always Toasted Turkish bread with Avocado, cracked pepper, lemon and feta. A simple, light and seriously delicious start to the day. My friends often order 'Green Eggs' which is pesto scrambled eggs served with basil, blistered tomatoes and toasted rye bread. I can tell from their empty plates and smiling faces they made the right choice. Of course a coffee is a necessity and the Denim Co. coffee 'bowls' are the caffeine kick start we all need and enjoy. I highly recommend Denim Co. cafe for breakfast, the food is delicious, the service is speedy and the coffee hot. Perhaps one tip I can give you is if you are planning to go on a Saturday morning head in before Park Run ends and the crowds arrive. I look forward to when I next visit and I will perhaps try a sweet treat, maybe their infamous Italian Peach cake, yes cake for breakfast is a wonderful idea. Have you ever visited Denim Co. cafe?